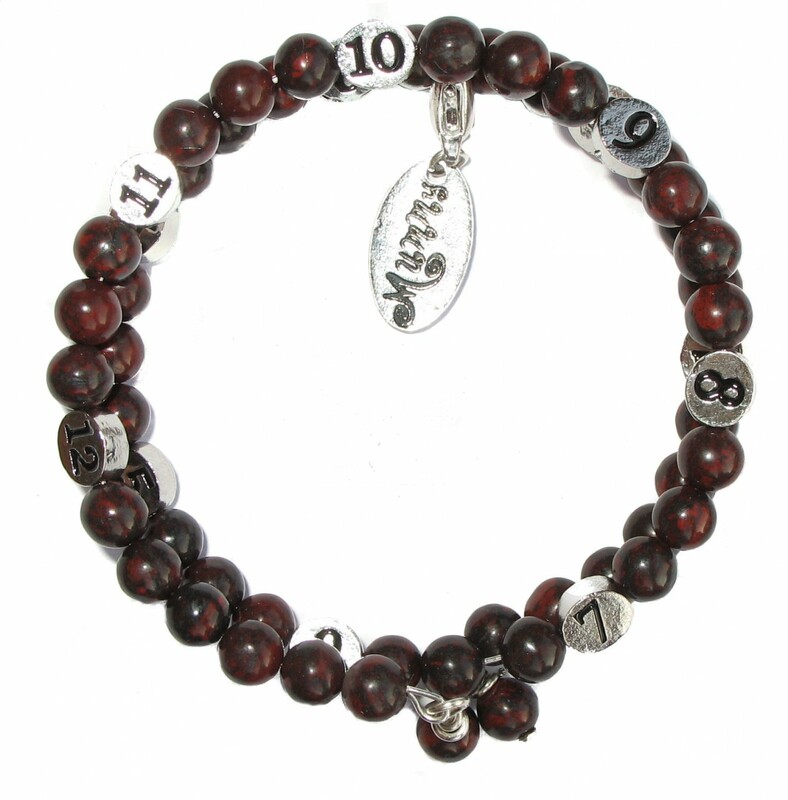 A strong protection gemstone, Poppy Jasper is known to protect against hazards of the night, it is very lucky for actors. Jasper is one of the oldest known gemstones. It is mentioned in the Bible several times. Jasper is a strong securing gemstone. It is a stability gemstone. It is a powerful protection against things that are not good for you and it eases emotional stresses, making it a wonderful gemstone to have in your home. We try our best to post within 24hrs of receiving your payment but occasionally it may need to wait a few more days to receive stock etc so please be patient. Our current UK p&p is a flat rate at only £1.95 per order! No extra charges so you can order as many as you want and pay NO extra p&p. International orders are welcomed and are only £2.95 GBP postage worldwide! Once you have placed your order your item will be made up within 5 working days and posted. All international orders will be sent via first class airmail to ensure speedy delivery. 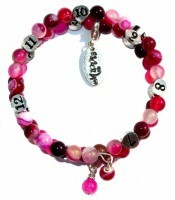 The Mummy Bracelet is made on memory wire and simply wraps around the wrist rather than fastening. This means that it is a one size fits all item. 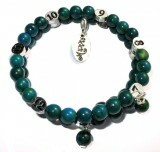 If you have particularly small or large wrists then please contact mail@themummybracelet.co.uk to discuss your options. Your Terms and Conditions The Mummy Bracelet is made from 100% lead and nickel free alloys which conform to UK & EU directives. The Mummy Bracelet & charms are silver coloured but are NOT sterling 925 silver (obviously due to price) the bracelet can therefore discolour and tarnish over time so we advise you DO NOT get your bracelet wet. Some people can have a slight reaction to metals and we therefore recommend you do not buy this product if you are one of the unlucky few that are unable to wear costume jewellery. By purchasing you agree to the above. We guarantee all our bracelets for faults/breaks etc. but exclude bead colour which like with all metals that are not pure gold or silver can change over time. 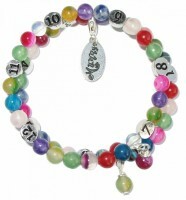 Our Bracelets are NOT a toy; it is intended for mum to wear only. Not suitable for 0-3yrs. Choking hazard due to small parts. Never fall asleep wearing this product. Retain packaging for information. When purchasing The Mummy Bracelet, you hereby release, discharge and agree to hold harmless the manufacturer, their heirs, legal representatives, assigns, employees or any persons or corporations acting under permission or authority of The Mummy Bracelet from and against any liability as a result of any injury or damages sustained while using item purchased or received. The user is solely responsible for the safety and well-being of themselves and those individuals under their care while using this product. We guarantee all our bracelets for faults/breaks etc. but exclude bead colour which like with all metals that are not pure gold or silver can change over time. Any faulty/broken bracelets should be returned in their original packaging within 28 days for replacement.